The products for your face you need in your holiday suitcase | HELLO! We all know the importance of shielding your face from the sun so make sure you use SPF! It's the best thing you can do to prevent ageing, so applying a good factor 30 should be essential to your holiday skincare regime. 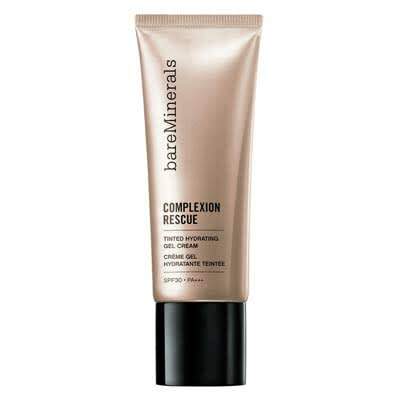 If you feel like you need some coverage after applying your SPF, bareMinerals have launched the new Complexion RescueTM, £27. This new hero product combines the best of a BB, CC and tinted moisturiser to give your skin a light but flawless finish. Bonus – it significantly increases your skin's hydration... Which is all too important when you're on holiday! Even if you're wearing SPF, the sun can still damage your skin cells, so we recommend using a really good serum to help regenerate and fortify. 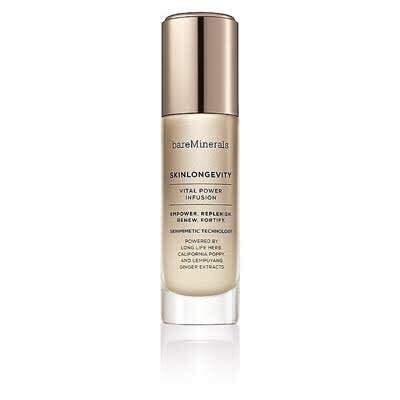 Our top pick at the moment is bareMinerals' new SKINLONGEVITY Vital Power Infusion, £45, designed to revive and help maintain your skin's most vibrant look of health. What's more, it reduces the appearance of fine lines and wrinkles – perfect for a post-day in the sun pampering session. Both products are available at bareMinerals.co.uk.